Craig is a graduate of Simon Fraser University Faculty of Applied Science, majoring in Communications. In 1994 he completed the program of studies in Real Estate Appraisal from Langara College and in 2002 was awarded the AACI designation from the Appraisal Institute of Canada. Craig is now semi-retired following 23 years with BC Assessment. He has worked in a broad range of assessment functions, most recently holding the position of Manager of Major Industry, Power Generation and Regulated Assessment leading a specialized provincial team of 20 appraisers. 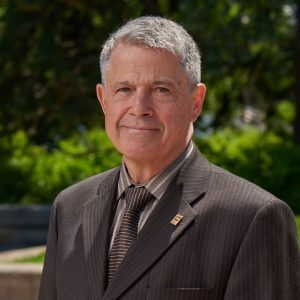 For many years Craig has been an active volunteer with the Appraisal Institute of Canada – British Columbia, and held the position of provincial president from 2010 to 2012. In 2014 Craig was the recipient of the Keith Goodwin award for outstanding service to the association and its membership. Presently Craig serves as one of two British Columbia directors on the AIC National Board.